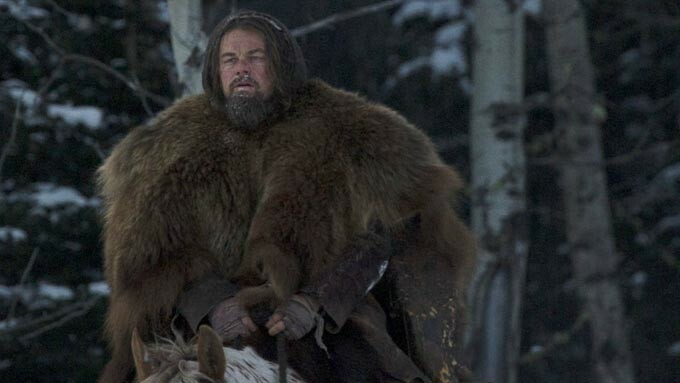 Leonardo DiCaprio battles for survival in the wilderness for The Revenant. Surviving the wild by pure instinct prior the advent of emergency call buttons such as 911 and high-tech gadgets is what makes the latest Academy Award nominee Leonardo DiCaprio film, The Revenant, this year's highly-thrilling cinematic experience--directed, produced and co-written by Academy Award winning filmmaker Alejandro G. Inarritu. Immersing audiences in the unparalleled beauty, mystery and dangers of life in 1823 America, the film explores one man's transformation in a quest for survival. The Revenant explores primal drives not only for life itself but for dignity, justice, faith, family and home. The film's wilderness-based production mirrored the harsh conditions Glass and company actually lived through in the 1800s. Inarritu and his whole cast and crew were up for all that was thrown at them, welcoming the challenges of shooting in Canada and Argentina, regions known for unpredictable weather and untouched wilds, in order to fully understand the experience of fur trappers in the early 19th century. Glass's mythology began in 1823, when he was among thousands joining the fur trade, a driving new force in the US economy. It was a time when many saw the wild as a spiritual void that demanded to be tamed and conquered by the steeliest of men. And so they poured into the unknown, plying unmapped rivers, disappearing into impossibly lush forests, seeking not only excitement and adventure but also profits--often in fierce competition with the Native tribes for whom these lands had long been home. Many such men died anonymously, but Glass entered the annals of American folklore by flat-out refusing to die. His legend sparked after he faced one of the West's most feared dangers: a startled grizzly bear. For even the most tested frontiersmen that should have been the end. But not for Glass, in Inarritu's telling of the tale, a mauled Glass clings to life--then suffers a human betrayal that fuels him to continue at any cost. In spite of tremendous loss, Glass pulls himself from an early grave--clawing his way through a gauntlet of unknown perils and unfamiliar cultures on a journey that becomes not just a search for reckoning but for redemption. As Glass moves through the frontier in turmoil, he comes to reject the urge for destruction that once drove him. He has become a "revenant"-- one returned from the dead. One of the movie's most thrilling scene, the bear attack that threatens to end Glass's life, immediately took DiCaprio into a mano-a-mano struggle with one of nature's most skilled predators. "The bear attack was incredibly difficult and arduous," DiCaprio recalls, "but it's profoundly moving. In the film, Alejandro puts you there almost like a fly buzzing around this attack, so that you feel the breath of Glass and the breath of the bear. What he achieved is beyond anything I've seen. Glass has to find a way to deal with this full-grown animal on top of him. He's at the brink of death--and you are fully immersed in this moment with him. "The Revenant is a story of harsh survival but also one of inspirational hope," Inarritu says. "For me, the important part was to convey this adventure with a sense of wonder and discovery, as an exploration of both nature and human nature." The Revenant opens in cinemas February 3 from 20th Century Fox to be distributed by Warner Bros.